Shutter Island, directed by Martin Scorsese, feels like a Hitchcock movie that Hitchcock was not able to make. Martin Scorsese, an Academy Award winning director and renown Hitchcock fan took a style that he so emulated and turned it into a suspense thriller that the “Master of Suspense” would have to love. The film is an atypical suspense that includes many of the features and characteristics that Hitchcock would have used if he had made the film. Similarities include the icy blonde, conspiracies, obsession, and and even a macguffin in the form of a lighter. 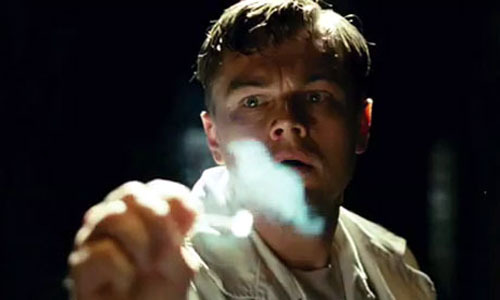 There are many similarities between the film Shutter Island and Alfred Hitchcock, but for the film, those similarities are pure signs of homage from Scorsese to Hitchcock. This entry was posted in Hitchcock Homage on April 25, 2014 by Richard Blaney.